The Beast chalk it up, kooky? 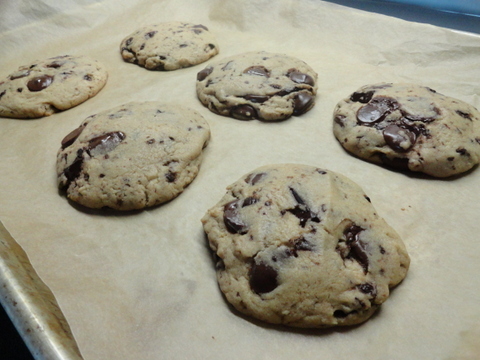 Er, I mean… the best chocolate chip cookie! When you consider an inherited recipe you are actually reading a history, as tastes are subjective often recipes become a collection of small tweaks. Let’s say you have a recipe that calls for cinnamon, but you prefer to use fresh grated nutmeg, bam this recipe has been tweaked. Ingredients on hand can also influence a recipe tweak, not to mention, food reservations or pre-conceived prejudices also influence a recipes ingredient outcome. A recipe is not just a piece of paper with a list of ingredients it’s similar to a living organism that experiences change and adapts with time. A passed on recipe is like a game of operator (further proof you learn everything you need to learn in kindergarten.) If you’ve never played, here’s how: Everybody stands in a line and the teacher whispers a phrase into student #1’s ear, then student #1 whispers the phrase into student #2’s ear (no repeating) and so on until everyone in the line has heard. When the last person repeats the phrase out loud it’s a garbled version of the original. 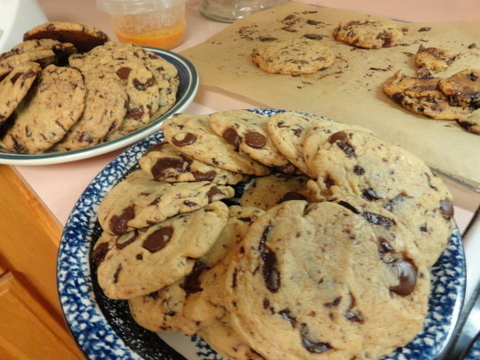 Thus the phrase the best chocolate chip cookie could end up sounding like the beast chalk it up, kooky. Much like a recipe that’s been handed down… Take for instance Eric Wolitzky’s chocolate chip cookie recipe, if you are unfamiliar with Mr. Wolitzky he’s a past contender in Bravo TV’s Top Chef Just Desserts and currently the pastry chef at Atlanta’s Cakes & Ale. 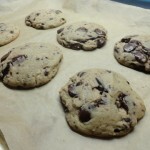 I originally found his recipe on www.amateurgourmet.com whose founder Adam Roberts took certain liberties with the original http://www.bravotv.com/foodies/recipes/chocolate-chip-cookie and realizing this recipe gets around I too had my way with this recipe and now you can too. What attracted me to this recipe is the butter is melted taking any guesswork out of the equation. 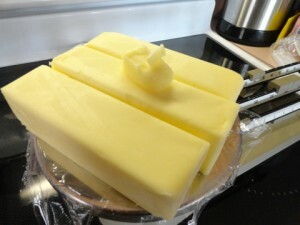 Besides, I always keep my butter in the fridge which means hours of room tempering before I can get started with baking. A few minutes in a pan sounds preferable. No? Step one: Melt butter, cool slightly… Done! Step two: Both Mr. Wolitzky and Mr. Roberts call for a mixer with a paddle attachment but I used a bowl with a baker’s spatula… Worked great and I didn’t have to drag out or clean up after a mixer! Cream sugars and butter together until just incorporated, try to avoid working in too much air. 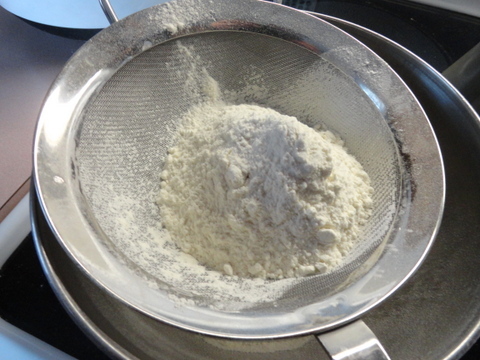 Step Three: in a separate bowl whisk all of the dry ingredients together. Step Four: add eggs to your creamed sugars one at a time and incorporate with the baker’s spatula. 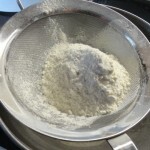 Step Five: add flour to creamed sugar mixture and work in until just incorporated, don’t overwork the dough, lastly incorporate the chocolate chips again being careful to not overwork. I’ve used semi-sweet, milk chocolate, dark chocolate, and even unsweetened baker’s chocolate to make these cookies and have had nothing but success. 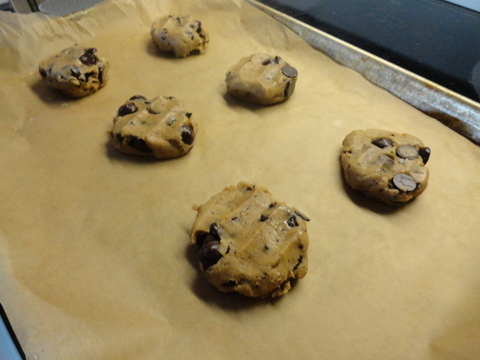 Step Seven: Bake at 325 degree oven for 14 minutes or until golden brown, place on a cooling rack, cool, eat and repeat. 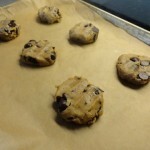 Now that you are armed with a rock star cookie recipe, what will you do to tweak it? Joshua Steiner is a food obsessed individual who has worked in restaurants and kitchens for most of his life and held just about every conceivable job in the industry. Now he’s bringing his tips, tricks and travels to The High Plains Reader and @thepeoplespressproject.org for your use in YOUR kitchen.